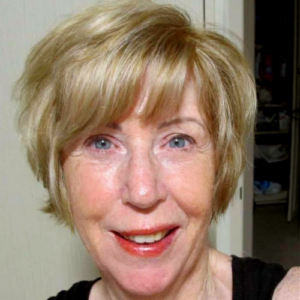 Leonie is an experienced and popular international tutor, artist and author. She is one of Australia’s most prominent and highly qualified botanical educators and a leading artist in her field. Her fascination with the natural world began long before she completed a BFA (Honours) degree in Natural History Illustration (Plant and Wildlife). This followed a BA/Visual Arts degree and was followed by a Grad. Dip. in Adult Education. A lifelong interest in both living and inanimate objects have encompassed zoology, botany, mineralogy and other subjects dealing with the physical world. Leonie holds regular classes and workshops in Sydney and various Australian destinations, New Zealand and Fiji. She also teaches Summer Schools in Australia, UK and Canada. Her paintings are found in private and corporate collections in many countries and she exhibits annually. As a balance in her life, Leonie also teaches Holiday Sketching and takes art groups overseas to places such as Fiji, Bali and New Zealand, where they can experience not only the distinctive landscapes but the unique insects, animals, birds, fish and other specimens rarely encountered in Australia. As well as sketching in the Kimberley in Western Australia, there will be future tours to various remote destinations in Australia, to explore and record our unique and diverse country.